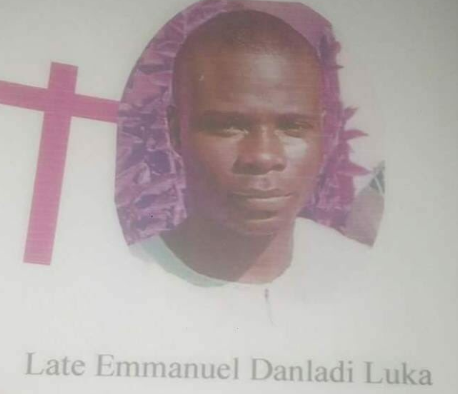 Emmanuel Luka pictured above is the latest victim of the brutality of SARS. 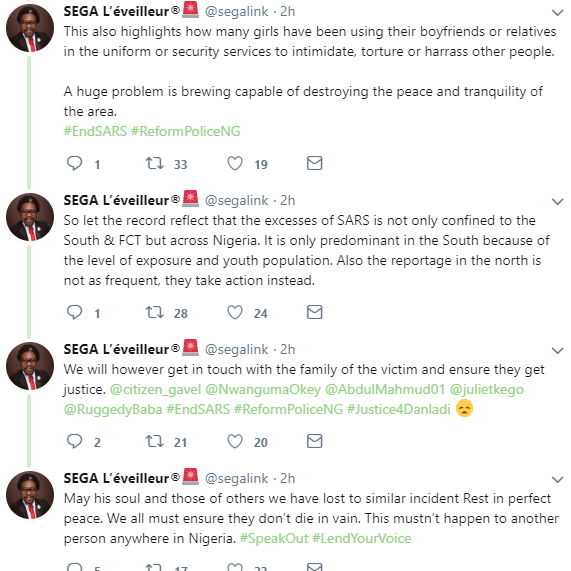 According to the coordinator of the #ENDSARS campaign, @segalink, Emmanuel was reportedly beaten to death by SARS agents in Biliri village in Gombe State. 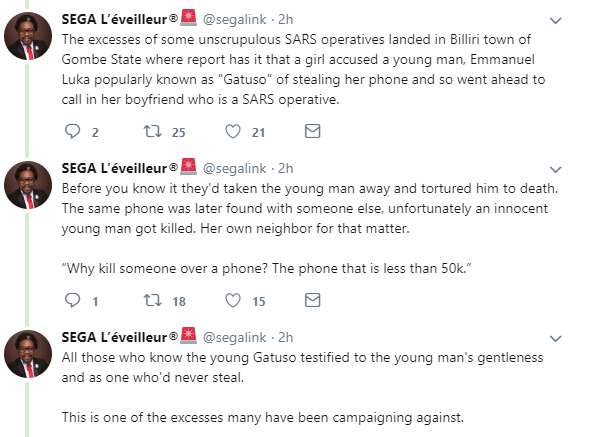 A friend of one of the SARS agents accused Emmanuel of stealing his phone and contacted his boyfriend who had mobilized his colleagues. They took Emmanuel and beat him until his death. The phone was found later but the damage had already been done.